The English shepherd, a rare and uncommon breed, finding its origins in UK, a highly skilled and intelligent, all rounder, able to eradicate rodents and insects with precision. Relocated by Scottish and English people, to the Americas, it was then bred locally, from farm dogs in the US. Recognized for its durability, it deals with different kinds of livestock: poultry, pig, sheep and cattle. It is also appreciated for its multi-tasking nature and skills such as: being fearless and alert so able to be a good guard dog, its also strong and well built so able to perform duties of a herding dog, this breed is also known for its swiftness and stamina thus, serves well as a hunting dog and lastly but not least its well balanced, loving and trustworthy nature allows it, to be the perfect companion for children and adults. First time owners, should be made aware that, the English Shepherd is a devoted, family oriented dog that bonds, itself well to its family and marks its own territory, and understands how to protect its family and property against unknown people. They do well with other domestic pets, that they have grown up with. They gained popularity during the 19th century until the "designer dogs" came up. 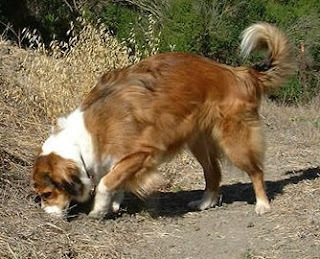 Since this breed has not been overbred and has a medium sized body, it generally tends to be a healty dog. However, hip dysplasia is rare in this breed and its advisable to look up some health issues such as OFA and PennHIP, before aquiring ownership of this dog. Daily brushing is required for this dog and bathing when neccessary.